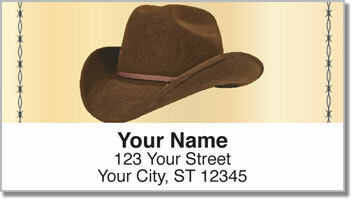 Here's a selection that pays tribute to the cowboys of the past as well as those who still ride the range. 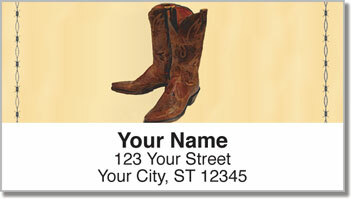 Classic Cowboy Address Labels from CheckAdvantage feature a border of barbed wire and a rotating sequence of four classic western motifs, including a pair of boots, a horse, a wagon wheel and a cowboy hat. 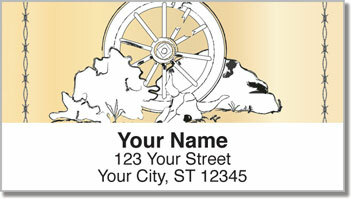 We just love how the simple background is juxtaposed with the intricate drawings on these self-adhesive stickers. They're a perfect selection for celebrating how the American west was won. 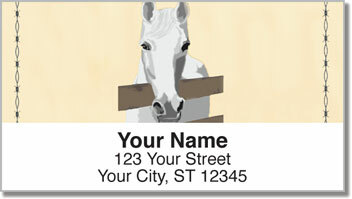 Order yours-along with matching Classic Cowboy Personal Checks-today!